Joining us for this Indie Rock Hit Parade live session is an artist with an immediately arresting approach to music. Essentially, Max Clarke is Cut Worms. The singer/guitarist recorded his earliest songs largely on his own, before teaming up with members of Foxygen and Woods to track his full-length debut, Hollow Ground. Currently on tour in support of the album, Clarke is joined by keyboardist John Andrews and bassist Keven Lareau, both members of the band Quilt, along with drummer Noah Bond. Before their slot opening for King Tuff at the First Unitarian Church, Cut Worms stopped by our studio to perform some of the new songs live. With sparse percussion, twangy guitars, and a saucy, muffled saxophone, Foxygen’s cover spins a swanky, lush alternative to the simple and sweet folk original. California duo Foxygen was back in town Sunday night to get their fans’ week started off right, and to promote their new album Hang. Fans filled up Union Transfer quickly as the night began with Australian-songwriter Gabriella Cohen setting the mood. Cohen came on stage with band mate Kate Dillion to ease everyone in to her opening set with a quiet number. As the first song was wrapping up the rest of her band came out to keep the serenading vibe going while taking it up a notch at times. The whole set was filled with songs which flowed together brilliantly to grab the full attention of the audience. Internal World: New Cloud Nothings, Sneaks and Real Estate on the Indie Rock Hit Parade! Tonight’s Indie Rock Hit Parade has all the things you need for a late-night Friday experience: New tunes, occasional chatter, a well-read host. Most importantly, it has YOU tuning in at 11pm ET (right after Land of the Lost with Robert Drake) on XPN. In the mix tonight are new selections from dreamy guitar guys Real Estate, minimalist groover Sneaks and beloved pop army The New Pornographers. We’ve also got tracks from the newly released Cloud Nothings album, Life Without Sound, along with a look back at their recent live performance in our studio! 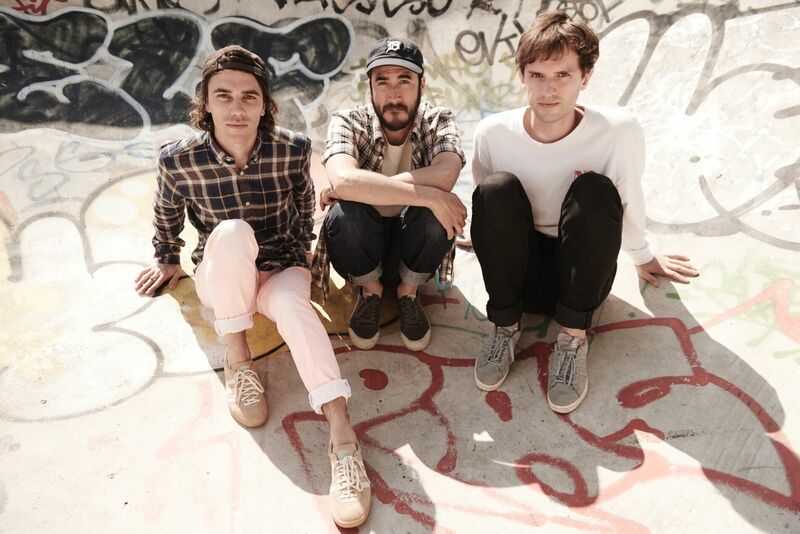 Batter Up: New Jagwar Ma, Foxygen & Mitski on the Indie Rock Hit Parade!